Click here for the latest issue of the IHMS Alumni Newsletter, “From the Heart”. Former students . . . Welcome back to Immaculate Heart of Mary School! For almost 110 years, the school has been developing the unique talents of youngsters from Nursery to grade 8 and beyond. Whether you studied at Immaculate Heart of Mary School, St. Nicholas School or Immaculate Heart of Mary Academy, we’re here to help you stay connected with hundreds of alumni around the world, and to keep you updated on the exciting programs and developments at the school. Immaculate Heart of Mary School would like to keep in touch with as many of our alumni as possible. Please take 5 minutes to send us an email letting us know what you are currently doing, what you have done since attending the school, and also your current contact information. We would be extremely grateful to hear from you, and all of your classmates as well. Spread the word! 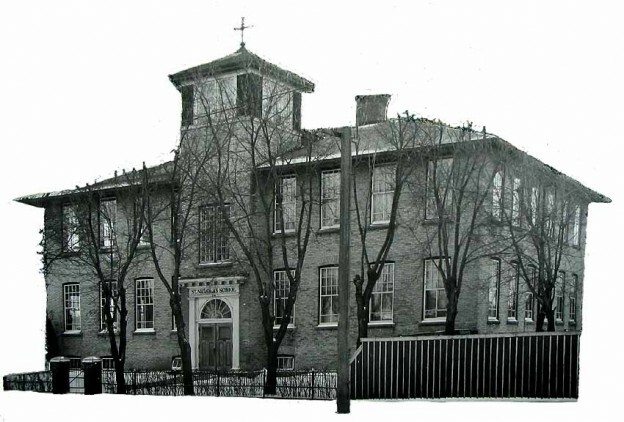 The former St. Nicholas School once occupied the same location as the present Immaculate Heart of Mary School. 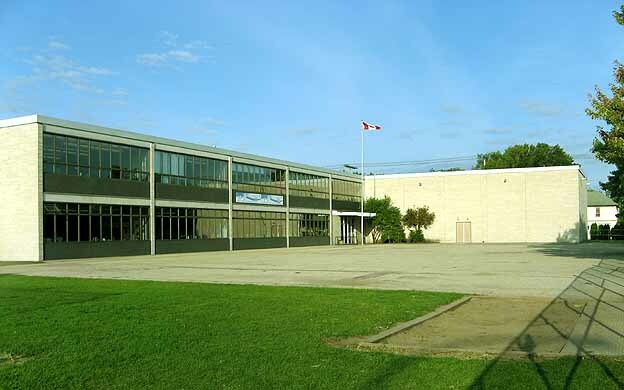 In fact, IHMS was built behind the old school, and once completed, St. Nicholas School was torn down.